Longtime South Park resident Randy Phillips is a singer/songwriter of folk music. Her album "Wild Horses" released in 2002, is primarily folk music but reflects influences of jazz and bluegrass as well. Similar to her other albums, "Wild Horses" derives features Phillips' clear voice and introspective lyrics. 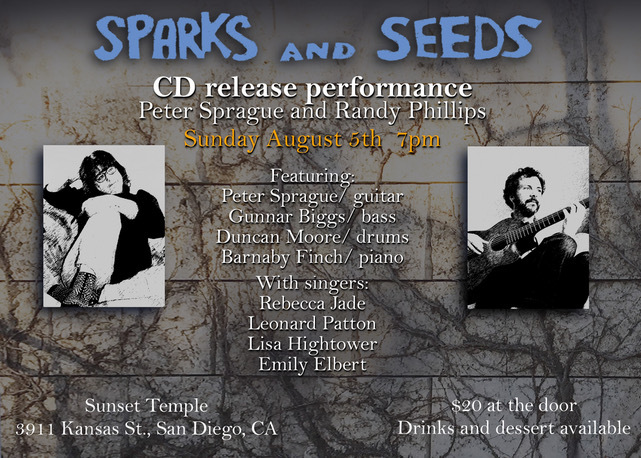 This latest album is another musical collaboration between Phillips and renowned jazz musician Peter Sprague, who was recently voted San Diego Music Award's Best Jazz Musician of 2004. 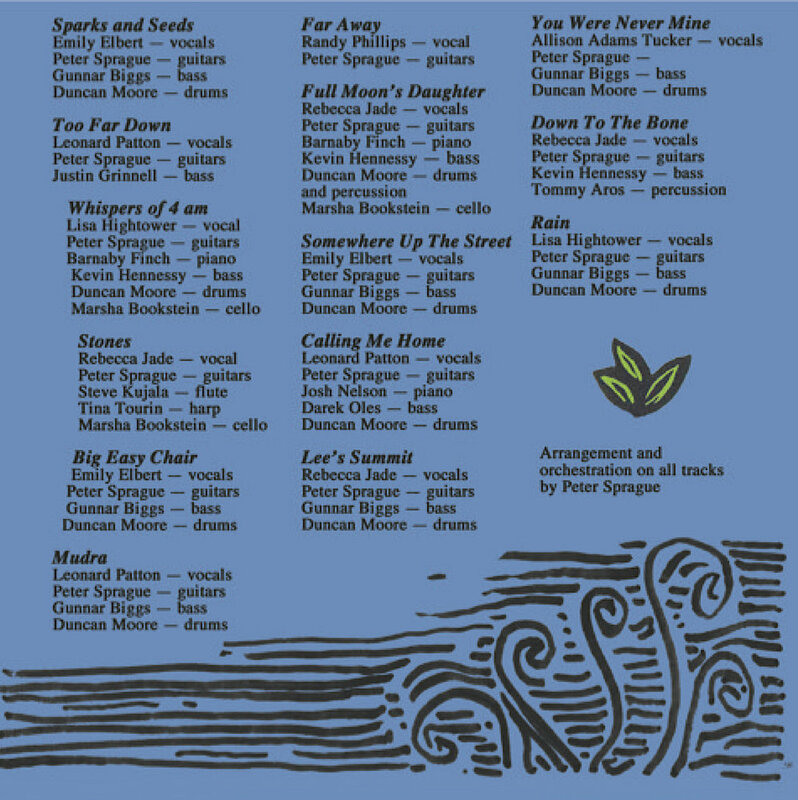 Phillips wrote or co-wrote 11 of the 12 songs featured on this album. She also plays guitar and uses it to compose melodies for songs. However, in performance, Phillips sings and leaves the guitar work to her onstage partner, guitarist Daniel Crawford. "I consider myself a lyricist," she says. "If I could I would spend every moment writing. I don't want to just write about relationships. I'll write about anything that inspires me." Phillips keeps a flexible schedule and a notebook with her, which allows her to write song ideas or lyrics at any moment. She began writing while growing up in West Los Angeles. She won writing awards from newspapers and the Girl Scouts. In high school, she sang in a group called Stained Glass Rainbow. Phillips moved to San Diego in 1971 and attended San Diego State University. She earned a degree in sociology in 1976 and began working as a counselor at The Bridge, a residential treatment center for runaway adolescents that now operates under San Diego Youth & Community Services. At The Bridge, Phillips would often sing and play guitar for the young residents.  "The kids really identified with music and the freedom of expression. They were often more willing to talk after I played for them," says Phillips. After working at The Bridge, Phillips helped form the San Diego Hospice. There she shared her music with patients, families and staff members. Soon coworkers were asking for copies of her music. Now, she divides her time between teaching yoga and as a stay-at-home mom to her 12-year-old daughter. Phillips is scheduled to play at Claire de Lune Coffee Lounge, 2906 University Ave., Nov. 20 and Dec. 18, both at 8 p.m.
"South Park singer/songwriter Randy Phillips arranges a concert for an old friend and a Hillcrest icon"
Roel Construction Co. crews are crawling all over the upper floors of Hillcrest's Park Manor Suites Hotel to get a $2.6 million renovation project ready by June. At the same time, South Park singer/songwriter Randy Phillips is putting together an June 3 concert to give the public a peek at the improvements. The 7 p.m. concert will take place on the seventh floor - the "Top of the Park" - which is undergoing the most work, including new bar, kitchen and dining areas. Improvements also are being made to the outside deck of the floor, where hotel guests and visitors get commanding views of the city. The concert, "A View from the Top," will include an evening of original folk and jazz music - "and a little rock and roll thrown in there," says Phillips - with performances by Phillips, special guest Peter Sprague, guitar, bassist Bob Magnusson and guitarist Daniel Crawford. A no-host bar and appetizers are part of the event. Tickets are $15, a portion of which will go to a local charity. Betty Willis, managing partner of Gentry Associates LLC, the owner of Park Manor Suites, is a longtime friend of Phillips. "Our kids went to preschool together about 12 years ago," says Willis. "We lost touch with each other but met again at a fund-raising event for the preschool." The hotel, located at 525 Spruce St., between Fifth and Sixth avenues, was built in 1926. It has a colorful history. Child actor Jackie Coogan's family invested part of his earnings in the Italian Renaissance building. Frank P. Allen Jr., chief architect for the 1915 Panama-California Exposition, designed the hotel. During Prohibition, Park Manor Suites was often used by Hollywood celebrities. Today, the hotel features live music in a downstairs venue and, says Willis, may also add entertainment at the top floor. Dr. Stanley Willis, great-uncle of Betty Willis, purchased the hotel in 1978 and undertook a major renovation of the building. Each of the suites is decorated with authentic antiques and other fine furnishings.